In an attempt to get a little fitter I’ve joined the gym at the Marriott Marquis. 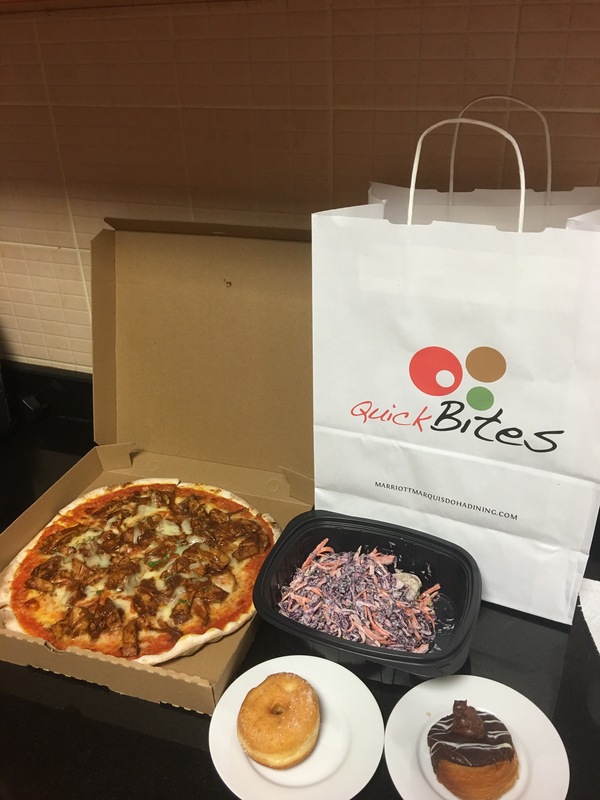 I decided after my first visit to reward my commitment with a take out from Quick Bites located on the ground floor. 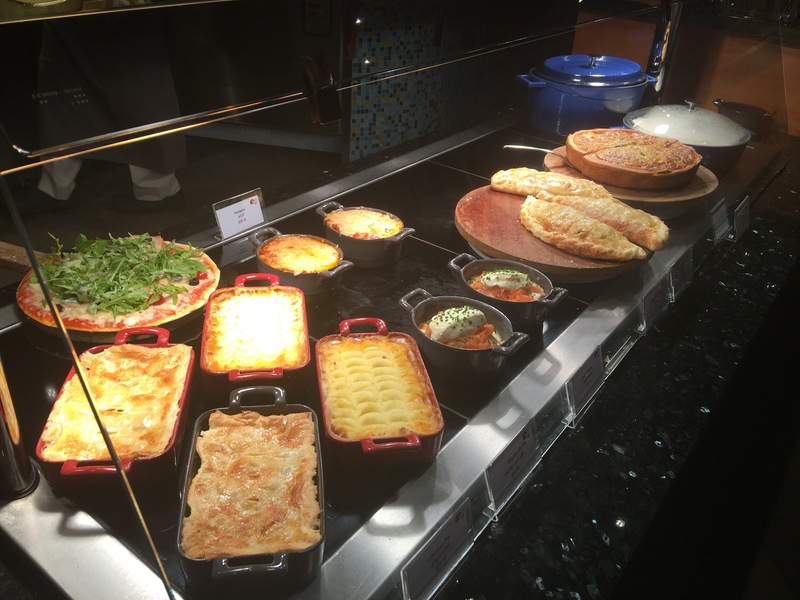 I now realise I have set a dangerous precedent because the food is really good! 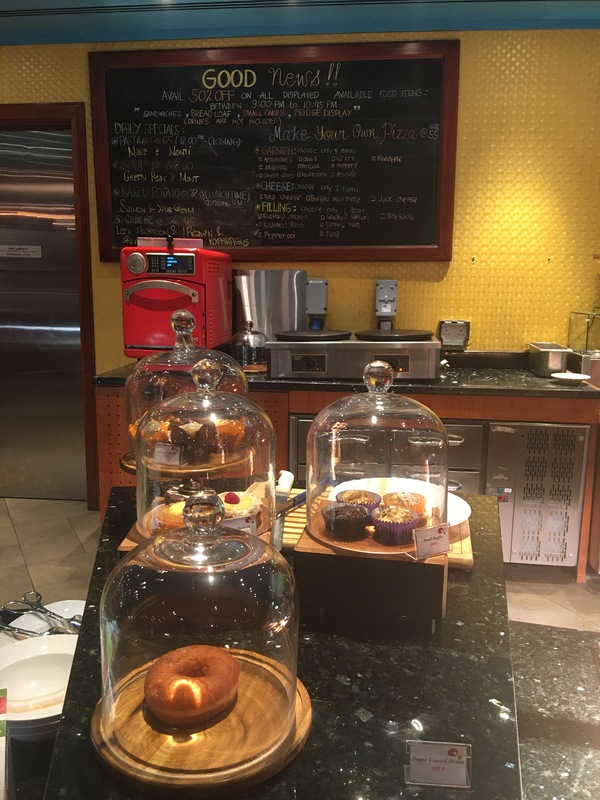 I’d describe it more of a cafe than a restaurant – it has a lovely light, bright, spacious feel to it with a fantastic long counter displaying sweet and savory items. 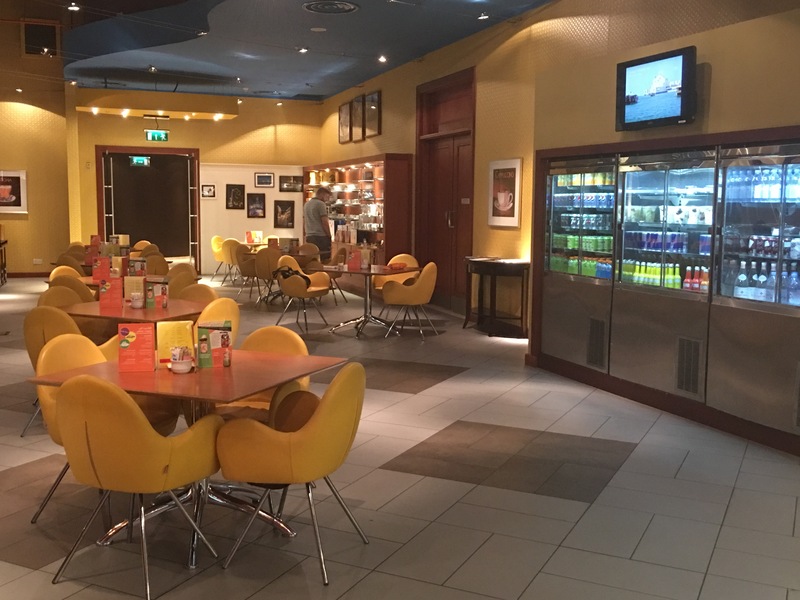 The varied menu offers breakfast, lunch, dinner and snacks to eat in or takeaway. The first time I called in I ordered a BBQ chicken pizza, shrimp coleslaw salad, a sugared donut and a cronut to take out. The pizza was freshly made while I waited and everything was ready in about 10 minutes. The service was really good, very friendly and helpful. 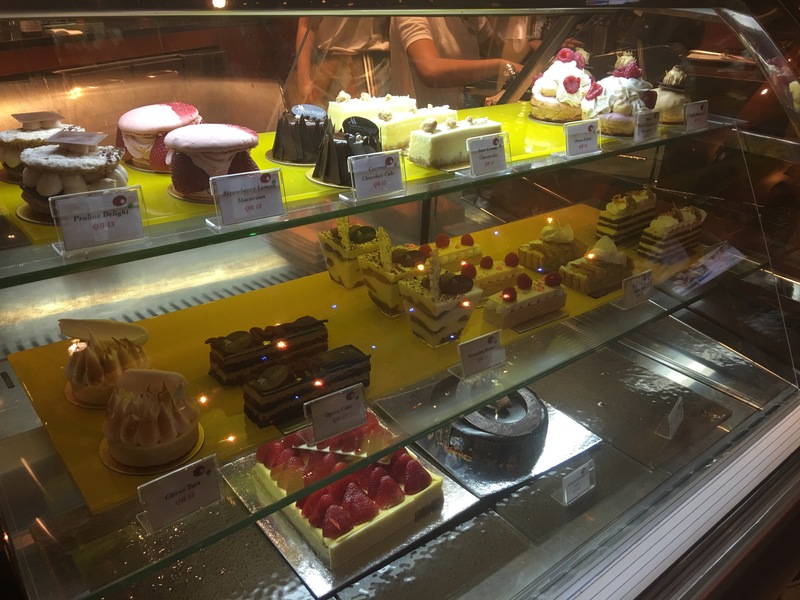 The food itself was also good however I did feel the desserts were a little dry. As we enjoyed this food so much we chose to go there on Friday but this time we ate in rather than taking our food away. Greg was delighted to see a Cornish pasty on the menu but he couldn’t decide between that and a pizza so he ordered both! I liked the look of the fresh salads of which there are some wonderful combinations of ingredients. 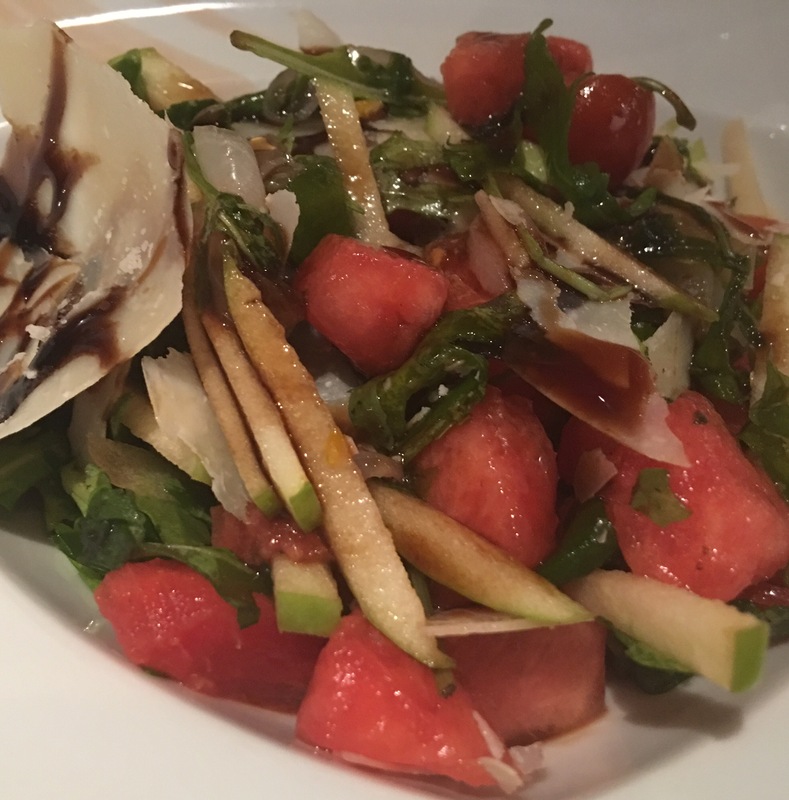 I chose an apple, watermelon and rocket salad with balsamic dressing and Parmesan. Once again our food arrived quickly and it was hot and fresh. I did think there was a little too much balsamic on my salad but luckily this didn’t overpower the delicious flavours. 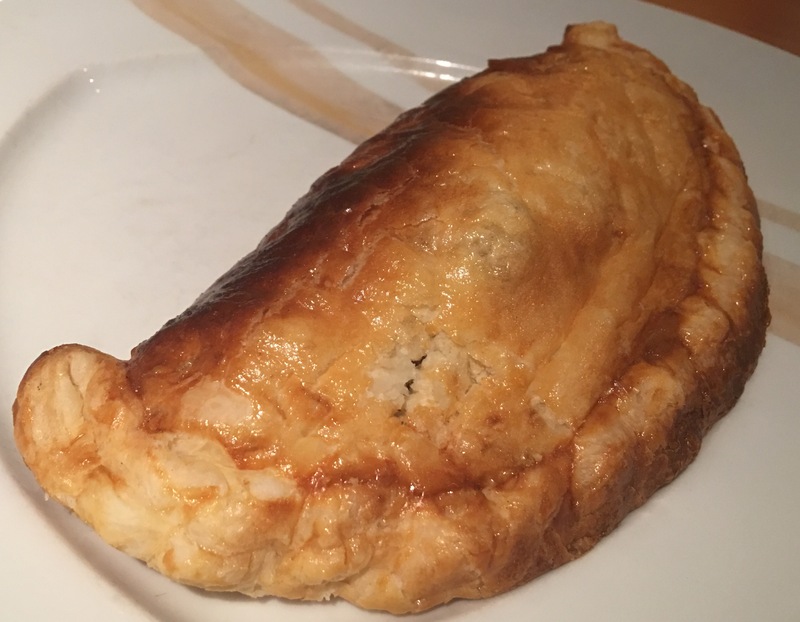 The Cornish pasty was excellent – flaky, buttery pastry with a well seasoned filling. 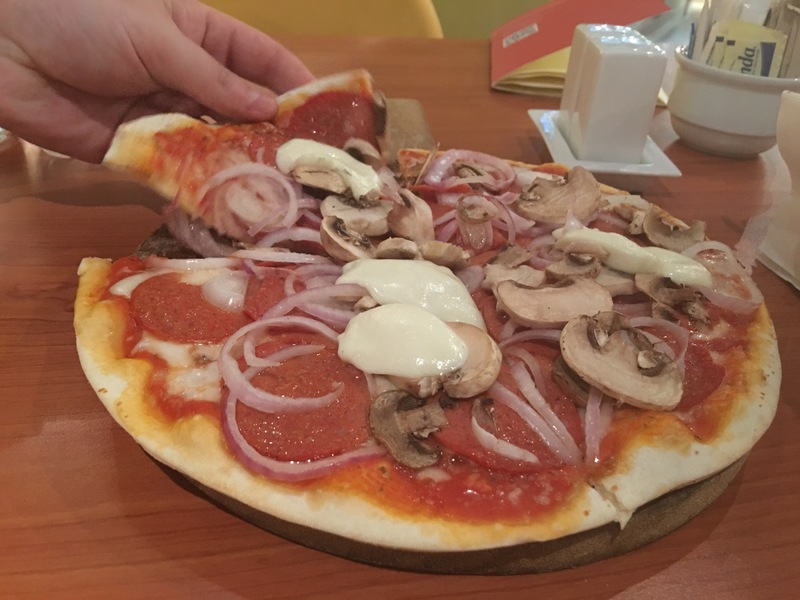 The pizza was light and crispy. 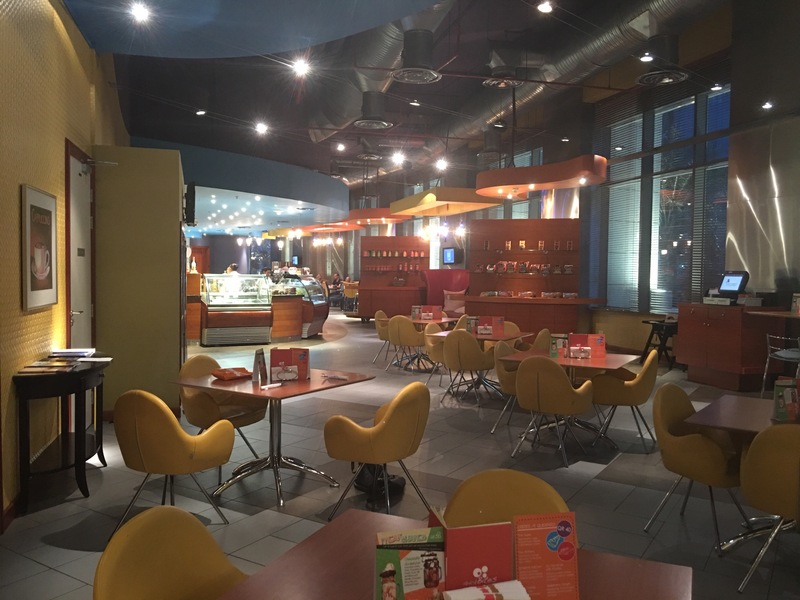 I really recommend you try Quick Bites, the cafe is thoughtfully designed so if you’re there for business or leisure it’s a relaxing place to enjoy some delicious, freshly cooked food. 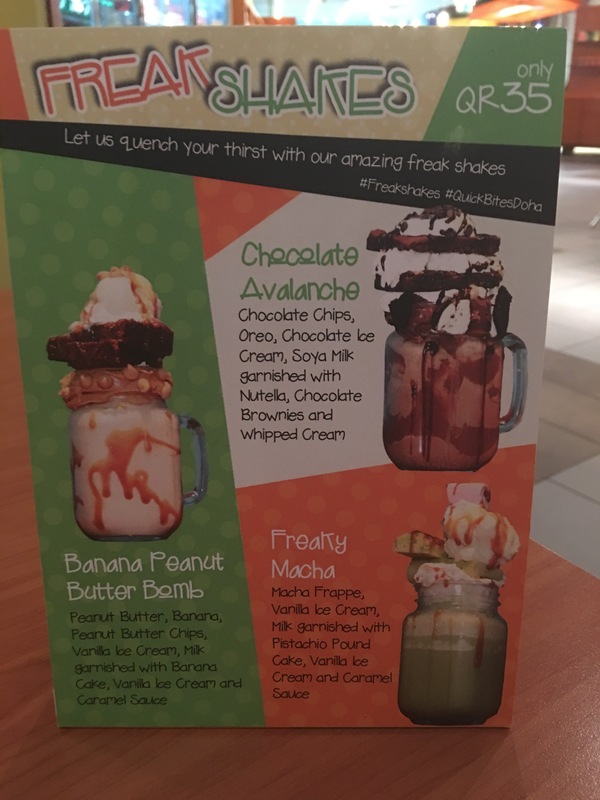 We’ll definitely be back purely to try a freak shake! !